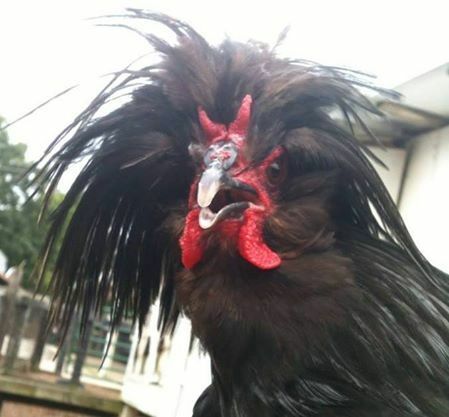 The Crevecoeur chicken is the oldest of the standard-bred fowls of France, having been documented since 1700, although many believe it has existed much longer. The breed originated in a small town in Normandy, France, Crève-Coeur en Ange. The breed’s name translates as “broken heart,” as in the romantic sense. Little else is known of the breed’s origins other than its origin in Normandy and its long history in the region. 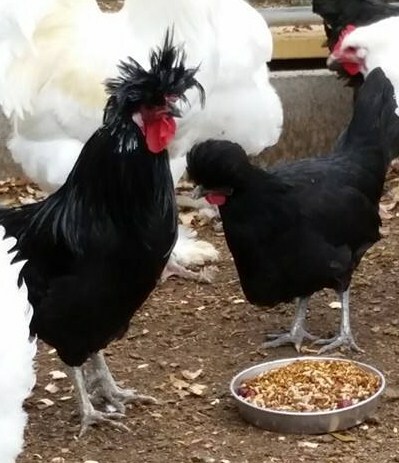 Crevecoeur chickens are a solid black colored with males having an iridescent quality to their tail feathers. they are a compact bird with well-proportioned bodies and short blue-grey legs. The most notable feature about the Crevecoeur is their solid black crests and beards. They are quiet and deliberate in movement, and are moderately shy in nature. As a breed, they bear confinement well, but are delicate in constitution, being prone to catch colds in damp conditions. They are moderate egg layers, laying large white eggs. They have a high quality flesh noted to be fine, short, and very fine with small, fine bones. They also have a delicate, white skin. The breed was once quite popular in France, though it did not gain so much favor in other countries. 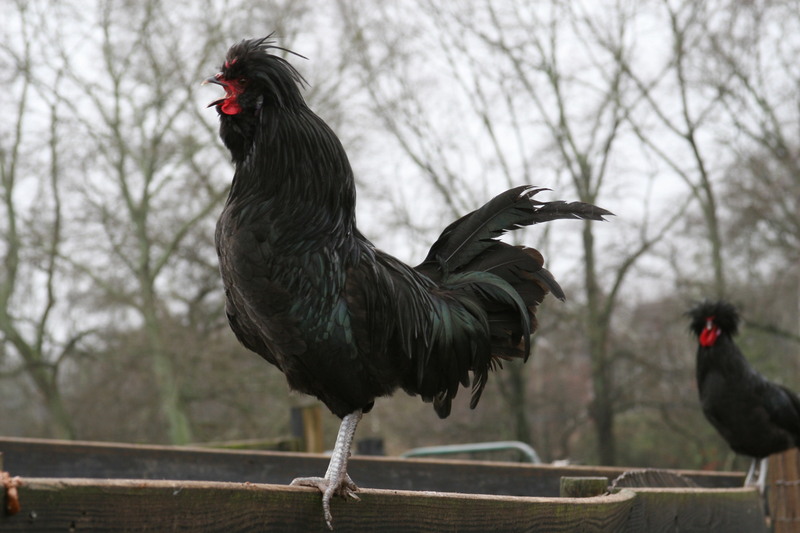 In 1855, there were two sets of awards offered at the first agricultural exhibit held in Paris: one for Crevecoeur chickens and another for all other chicken breeds. 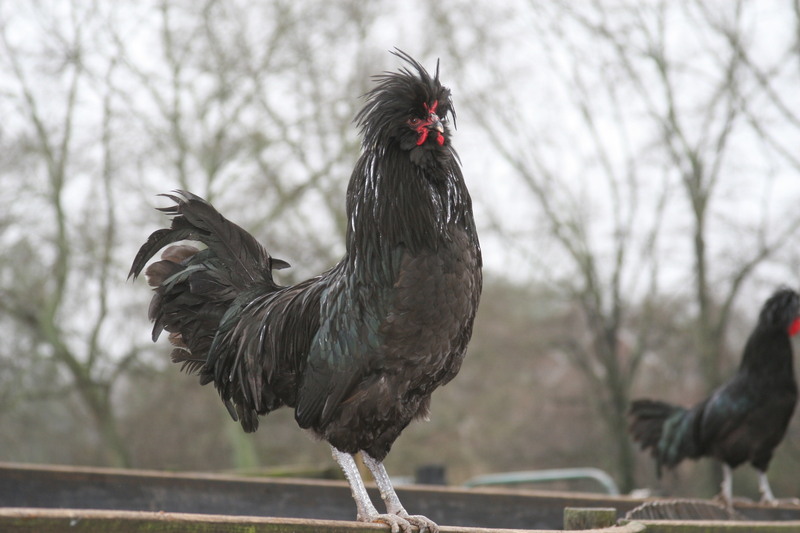 This is the oldest known French chicken breed in England. It had reached America prior to 1874, but was regarded as “too tender” for the climate of eastern and middle states there. 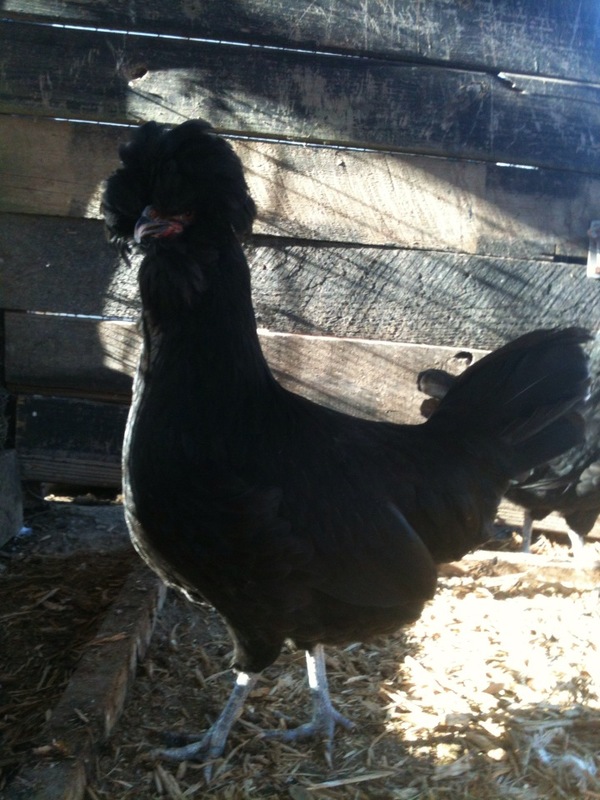 The Crevecoeur chicken was recognized by the American Poultry Association and admitted in 1874. Males weigh 8 lbs and females weigh 6.5 lbs. 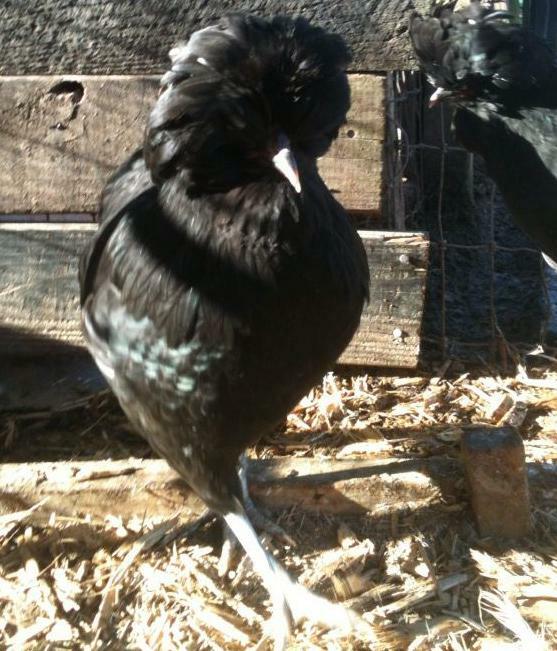 Please contact us if you are interested in purchasing a few of our Crevecoeur Chicks we have for sale.